Colorado Springs, CO -- Minnesota Wild forward Zach Parise on Friday was named captain of the United States men's ice hockey team for the 2014 Sochi Olympics. Parise served as an alternate captain four years ago in Vancouver, when the U.S. won the silver medal. He tied for the team lead with four goals and eight points, no goal bigger than the one late in regulation in the Gold Medal game against Canada which sent the contest into overtime. The 29-year-old Parise has 18 goals and 16 assists in 41 games this season. He recently returned to action after missing a month with a foot injury. Brown, who is in his sixth season as captain of the Kings, also was an alternate captain four years ago in Vancouver. He has 10 goals and six assists in 55 games this season. Suter, who was an alternate captain on the 2010 team, is in his second season as an alternate captain with the Wild. He has six goals and 27 assists in 56 games this season. The Americans open up preliminary round action against Slovakia on Feb. 13. A North American clash cannot happen until the medal round, as Team USA is in Group A while Canada resides in Group B.
PHILADELPHIA – The Philadelphia Soul announced a couple of transactions Thursday, including the acquisition of defensive lineman, TJ Langley in a trade with the Orlando Predators for future considerations. The team also announced the assignment of offensive lineman, Lemone Buford (6’2, 300, Hampton) and defensive lineman, Justin Young (6’4, 285, Morgan State) to add to the 2014 roster. Langley, who did not play in 2013, had 11 solo tackles, six assists, 3.0 sacks and one fumble recovery in 2012, splitting time with Philadelphia and Jacksonville. 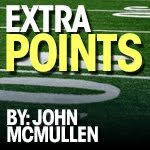 He played his college ball at Arkansas Tech University from 2009-10, originally playing as a tight end before converting to defensive lineman. Langley recorded 23 tackles (17 solo), 5.5 tackles for loss, 3.5 sacks, and a team-leading nine quarterback pressures in his senior season. Buford, who is entering his rookie AFL season, helped the Hampton Pirates average 147.9 rushing yards per game. Young, who is also a rookie, accumulated 80 tackles, 20 tackles for loss and 12 sacks throughout his collegiate career at Morgan State. Chester, Pa. – The Philadelphia Union have signed French midfielder Vincent Nogueira, formerly of Football Club Sochaux-Montbéliard of Ligue 1. He will join the team pending reception of his U.S. P-1 Visa, International Transfer Certificate (ITC) and will occupy an international roster spot under MLS policy. Nogueira joined the Ligue 1 team in France for the 2007/2008 seasons and has remained a mainstay on the club’s roster. The 26 year old, who was Sochaux’ longest-tenured player, scored a equalizing goal last week in stoppage time against Ajaccio to record a 1-1 draw. Overall, the team’s captain has notched 6 goals in Ligue 1 from the midfield position. Throughout his time at the club, the Frenchman helped lead his squad to capture the Coupe Gambardella and Coupe de France in 2007, while also finishing second in the Coupe Gambardella in 2010. Nogueira will join the Union in Florida when the club begins its next phase of the 2014 preseason. There is nothing that the upcoming three-game California-based road trip that kicks off tonight in Anaheim will reveal about the current Philadelphia Flyers roster and coaching staff that hasn't been exposed already. Those of us with astute minds have been waking up every morning the last week or so, and scanning social media during the day and evening hours, looking for that inevitable deal that might serve to provide a suitable rudder for Craig Berube's club. But it's highly unlikely any significant move will be made from the braintrust on South Broad Street before the NHL pauses for its Olympic Break at the end of next week. A trade embargo will be enacted during the time the Sochi Games are contested, so that eliminates two weeks from the calendar where otherwise idle hands might steer clear of the Devil's workshop. 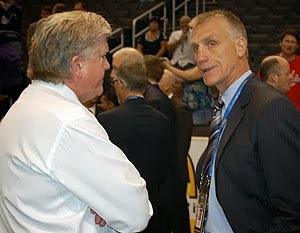 That lack of initiative on the part of GM Paul Holmgren may spell doom for the club's playoff hopes. At least from the standpoint of need, the mathematics of a trade are simple. The Metropolitan Division is crowded in its middle, with just six points separating second place from seventh place. Out of this morass, only two playoff berths are guaranteed, with two more wild card spots on the line and four more teams competing for those final slots. Failing to deal in this slim nine-day window (which was a two-week window not so long ago) and letting the club play its schedule out as is, given the roller coaster ride through the season's first 54 games, is completely inadvisable. After treading water for half of the season, Columbus gained a player without the benefit of a deal -- a healthy Nathan Horton -- and has gone 9-4-0 since then to become a serious postseason contender. Detroit will have some combination of, if not all five players who missed Tuesday's shutout loss (Zetterberg, Datsyuk, Bertuzzi, Franzen, Howard) returning by the final segment of the season. Holmgren cannot afford to bank on injuries and poor play affecting other clubs, and not moreso than his own, for the remainder of the year. Once the league returns from Russia at the end of February, it's a shotgun finish where the other 29 general managers will be working feverishly to upgrade their club or get fair return in selling mode. The screws of any potential deal will be at their loosest point during this period, and if the Flyers are to gain that player or players who will make a difference, the voices on the other end of the telephone line are most reasonable right now. Aside from that, why risk valuable games down the stretch breaking in a new player while playoff position slips away? Bringing in new blood now provides the rest of the coaching staff and team to acclimate themselves to the new addition. There are six games remaining before the break and every point is valuable, too valuable to risk standing pat. Before any potential deal is consummated, remember that there are certain criteria the Flyers front office will use to ensure they are making that mythical best move to help the organization. A) "Fair Value" -- Karmic retribution from Keith "The Thief" Allen's days still hangs over this organization's head, and in the cutthroat business of winning, there will be no sparing Philadelphia's feelings when Holmgren gets on the horn looking for upgrades because he's dealing from a position of great need. You think he's trying to fleece the other guy? Hell yes. But the "other guy" has grown significantly wiser over the years, so Homer is left explaining away some deals that were and even more that weren't with the code words of "fair value" or "giving our team the best chance to win." And in some cases, left in front of the cameras barely able to contain his own emotions. That has meant a series what can best be described as low-risk, high-reward trades where a body is dealt for a draft pick. There hasn't been a single transaction where three players have changed hands under Holmgren since Luke Pither was sent to Carolina for Brian Boucher and Mark Alt a little more than a year ago. You have to go back to the Richards-for-Simmonds/Schenn shocker on June 23, 2011 for a deal of some consequence involving three actual humans. Since the onset of play once the NHL returned from Vancouver, Holmgren has pulled off 15 trades where at least one pick was given up for a player, and several times in that frame where multiple draft picks were released -- a prime example of which was sending both second-and-third-round slots to Dallas in exchange for everyone's favorite whipping boy Nicklas Grossmann in February of 2012. Holmgren's made trades with 22 of the remaining teams in the NHL, which leaves only a small fraction that haven't gotten a feel for how he does business. Of those, Montreal, Boston, Ottawa, Washington and New Jersey are conference rivals with playoff seeding on their minds and won't simply give in to whatever's on the table. B) Inter-conference Trading Partners -- The club's last significant non-free-agent-based person-for-person swap with another franchise inside the Eastern Conference came when James van Riemsdyk was shipped up to Toronto on Draft Day (June 23) 2012 for Luke Schenn. The last one before that was Simon Gagne to the Lightning for Matt Walker in July of 2010. Counting the Downie-for-Talbot swap, since Holmgren was given full control in October of 2006 he has made 58 deals. His most favored trading partners have been Nashville and Columbus (7) and Tampa Bay (7). A distant second is Anaheim (5), then Los Angeles (4), with Calgary and the Islanders clocking in at three apiece. Including Columbus and Detroit, which up until this season were Western Conference clubs, 38 transactions occurred between the Flyers and a team from the opposite conference. That strategy was formulated to ensure no deal comes back to haunt the Flyers in the form of a certain tradee playing spoiler for playoff seeding or helping the new club take down his old mates (a la Ruslan Fedotenko) ad has largely been successful. Safe to say, with the Bolts in line to receive an automatic playoff bid standing second in the Atlantic Division and with the impending return of Steven Stamkos after the Olympics, Holmgren and Steve Yzerman aren't going to burn through their long-distance minutes. Edmonton and Phoenix have long been rumored to be moving pieces or putting veterans up on the trading block. Nashville's relationship with the Orange and Black has soured since the Shea Weber debacle, but business is business, and if a deal is amenable, the Music City will hum with anticipation. A dark horse is Ken Hitchcock and the Blues, who may need that indescribable something to put them over the top against Chicago and Colorado. The last time Philly and St. Louis worked a deal was during the Bob Clarke era, when Eric Weinrich was recycled for a fifth-round pick in February of 2004. C) Cap considerations -- Chris VandeVelde was placed on waivers Wednesday afternoon, and if he goes unclaimed by posting time as is expected, the Flyers are still on the hook for his salary when he gets sent back to the Phantoms. It would be easier for Holmgren to propose a meaningful deal with a portion of Double V's $550,000 price tag off the books if another team claims him. The Flyers are looking at three restricted free agents (Brayden Schenn, Erik Gustafsson and Michael Raffl...five if you include the recently activated Marc-Andre Bourdon and yo-yo Tye McGinn) along with six UFA's (Steve Downie, Adam Hall, Kimmo Timonen, Andrej Meszaros, Hal Gill and Ray Emery). From that list, it's simple process of elimination who is most likely to be brought up in trade talks and who is most likely to be dealt when the pressure is on. Call me crazy, but perhaps the rationale behind alternating Meszaros between healthy scratch and offensive dynamo, is to keep his "hot streak" fresh so that any potential deal includes at least a high-level, young player of either skating position and a high draft pick. With their current 25-man roster, the club has almost $2.4 million of wiggle room, plus only 15 players guaranteed to be under contract next season. The time is right for something to go down. Recall in earlier years the seemingly-lopsided deals for Dale Hawerchuk and Tony Amonte which lifted above-average Flyers teams to division titles and high seedings. That was in the old four-division format where teams with losing records made the playoffs. There is no luxury for patience in today's NHL, and in a conference where 13 of 16 clubs have "winning" records as of today. Fear of a mistake cannot be an option, because the worst thing to do at this stage is nothing. When was the last time you could say the Flyers and Red Wings were battling for playoff position? The two franchises have been on two separate tracks, and for the last 47 years, competing in either opposite divisions or conferences. On Tuesday night, it was the third and final meeting scheduled for this season, and the most meaningful contest between the franchises since June of 1997. Due to the vagaries of the new playoff format, and the struggles each have faced through two-thirds of the schedule, these clubs will most likely be sparring for the two wild-card spots available in the eight-team intra-conference format. The eighth-place Wings had a game in hand on the 10th-place Flyers and a one-point margin, but that disappeared as Philly claimed a 5-0 victory. Steve Mason clocked in with 33 saves for his second clean sheet of the year, the first Philly goalie to blank Detroit since Roman Cechmanek in 2001. It was a perfect going-away present for the club, which begins a three-game California road trip at Anaheim on Thursday. The hosts' path was made much easier due to the fact that Detroit was missing five principals: forwards Henrik Zetterberg, Pavel Datsyuk, Johan Franzen, Todd Bertuzzi and goaltender Jimmy Howard. Wings head coach Mike Babcock was nonplussed. Scott Hartnell picked up his first multi-goal effort since last April, Adam Hall and Sean Couturier lit the lamp and Claude Giroux added a goal and two assists for the Orange and Black, who recovered from a 6-1 thrashing at the hands of the Bruins on home ice this past Saturday. "We needed to get our confidence back, need to have our confidence high going into that trip," said Hartnell, whose club closed the books on a four-game losing skid. Jonas Gustavsson was on the hook for all five goals on 28 shots, as the Wings dropped two of three to Philadelphia this season. "It's embarrassing, walking out of this arena tonight," groused Wings defenseman Jonathan Ericsson, one of the few regulars forced to slog through one of the team's worst losses this year. On the front end of a cross-checking minor to Danny DeKeyser, Timonen let go a low, hard blast from the point which was redirected through Niklas Kronwall's and Gustavsson's legs by Hartnell at 13:42 of the first period. Hartnell was denied as the clock moved beyond five minutes played in the second. He was set up perfectly by a cross-ice dish from Giroux off a 2-on-1, but Gustavsson did the full splits in his crease to knock the puck away. Giroux then fed Hartnell again on the left wing, and he made no mistake with a drive that hit the back of the net at the 8:08 mark. Gustavsson was strong again to deny a breakaway backhander from Vincent Lecavalier minutes later, but was fooled by a Hall backhander from the right side with 8:58 to play and the hosts led 3-0. Mason once again did his part, emulating Gustavsson on his own split-save against Luke Glendening with 7 1/2 minutes left, and then got some luck when Kyle Quincey shot the rebound high and wide with three-quarters of the net open. Hartnell appeared to be a bit allergic to a trifecta, dishing off any chance he could in the third period, but it paid off when he led Giroux up the left wing, and he blew a shot off Gustavsson's glove and in for a four-goal spread just after the midway point. "You give him the puck, you're going to get it back," Hartnell said of his old/new linemate. "That second period, I could have had two or three goals. He tells me to always go to the net with my stick on the ice, and I thought we did a really good job tonight. He's one of the best passers in the game. He thinks the game, he's competitive. When he goes, we go as a team." Couturier's wraparound against a passive Wings defense with 3:51 to play was the additional dagger. Mason capped his shutout with three more sweeping glove stops, keeping Detroit winless here since the 1997 Stanley Cup Finals. Notes: Bernie Parent (2-0, 11/16/76) and Wayne Stephenson (3-0, 11/13/77) also kept the Wings off the scoreboard, and all four Flyers shutouts against Detroit have occurred in Philadelphia ... Hartnell recorded his 30th career two-goal game and first since his hat trick last April 15 at Montreal ... Flyers defenseman Kimmo Timonen, who logged only 7:20 of ice time, did not play past the late stages of the second period after blocking a shot, and was listed as day-to-day with a lower-body injury that Berube stated was not serious ... The Orange and Black have beaten the Wings eight straight times during the regular season in Philadelphia, four off the franchise record of 12 straight set from Oct. 14, 1973 to Nov. 19, 1978 ... Detroit suffered through its third consecutive road shutout defeat, after losing to Anaheim and the New York Rangers by identical scores of 1-0 from Jan. 12-16. Though Scott Hartnell had recently taken to wearing a walking boot to protect his left foot following games, there's nothing to worry about. Several outlets reported that Hartnell had a CT scan which revealed no damage to the foot, which was struck by a shot way back on January 14 against Buffalo. And those magical healing powers in Flyerdom have struck again. Flyers GM Paul Holmgren reported that Zac Rinaldo, who was originally slated to miss 4-to-6 weeks with a high ankle sprain earlier in the month, is closer than that to returning to action. He is officially listed as day-to-day. Rinaldo participated fully in Sunday's practice session before the Flyers Wives Carnival later in the day. Philadelphia will dodge two bullets in its home contest against the Detroit Red Wings tomorrow night. Veteran forwards Henrik Zetterberg (sore back) and Pavel Datsyuk (upper-body injury) will miss the key conference matchup, as they both did when the Orange and Black came into Detroit and won 6-3 on December 4. However, starting goaltender Jimmy Howard will return after recovering from a week-long absence due to a left-knee issue. No change once more atop the latest rankings, as Minnesota remained at its perch. The Gophers did manage to lose some first-place votes, however. Only a minor nuisance in the long run. Don Lucia's program finished the weekend by extending their unbeaten string to 12 games (9-0-3) with a win over St. Cloud State (4-1) and 4-4 tie against Minnesota Duluth in the North Star College Cup. No. 2 Boston College remained in place and gained six first-place votes, but not after a narrow win and challenge from upstart Penn State on Saturday night. The Eagles now own the second-longest unbeaten streak in the country at 9-0-2. 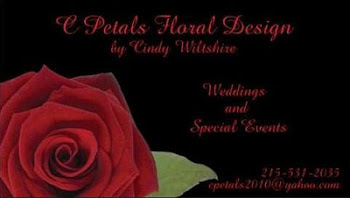 Details to follow in the section on the local programs. Quinnipiac represents the head of the ECAC, rising to third after having the entire week off. The Bobcats return to action this Friday at Dartmouth. Union, which dropped one slot to fourth, split a pair of games over the weekend. The Dutchmen bested Harvard by a 4-3 at a raucous Messa Rink on Friday to ascend to the top of the ECAC Hockey standings, then dropped a contentious 2-1 decision to rival RPI in the Mayor's Cup on Saturday night in Albany. Shayne Gostisbehere ended the weekend with a goal ad assist, but the most compelling events took place after the final buzzer. "The ugliest fracas was Union coach Rick Bennett trying to go after RPI coach Seth Appert. An angry Bennett had to be restrained by a referee, while Appert was held back by one of his players. There were 19 penalties handed out totaling 125 minutes at the end. Four players were given game disqualifications. RPI’s Zal­ewski and Luke Curadi, along with Union’s Eli Lichtenwald, were given their DQs for fighting. Union’s Mat Bodie got his DQ for facemasking. All four players will miss their team’s games Friday. Union is at St. Lawrence, and RPI plays at Clarkson. 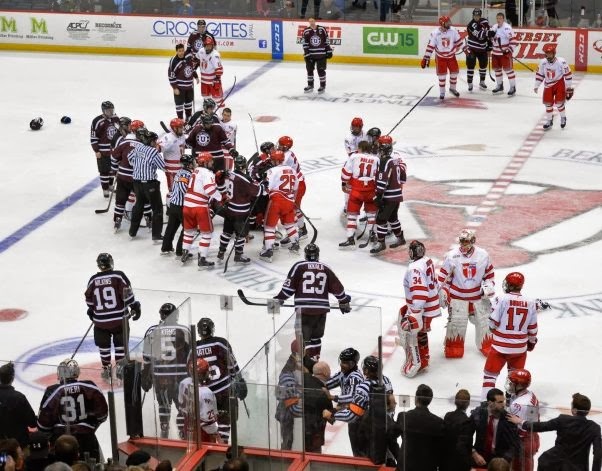 An ECAC Hockey spokesman said that the video of the fracas will be reviewed today, and it’s possible more suspensions could be handed out. Afterwards, both coaches admitted they were wrong with how they acted. “I’d like to apologize for that end of the game [incident],” Appert said. “These are two heated rivals that have had some of these incidents, but we have a tremendous amount of respect for Union. I have a tremendous amount of respect for Rick Bennett and his coaching staff. When you play in a heated rivalry game, sometimes things boil over. But that’s not the way we want to be portrayed at all. I know they don’t either. St. Cloud State remained entrenched at No. 5 after its participation in the North Star Cup, losing to Minnesota in the opener before recovering with a 6-4 decision over Minnesota-Mankato. Ferris State, Providence, UMass-Lowell and Wisconsin also stood firm in their rankings from last week, while the country's new #10 program is Northeastern. The Huskies have enjoyed a slow but steady rise in the rankings, going 5-2-0 in their last seven games. Over the weekend, there was a split at Notre Dame -- a 4-0 victory on Friday which saw Clay Witt stop all 30 shots sent his way, then a 3-0 loss on Saturday where Stephen Summerhays came up with 36 stops. Earlier in the season, on Thanksgiving weekend, Boston's "other" hockey program defeated ND for the Shillelagh Cup, so we have the looks of another rivalry brewing in the stacked Hockey East. Princeton had yet another weekend off. The Tigers will look to regain some equilibrium this coming weekend when they resume their Ivy League slate with games on the road against Harvard and Dartmouth. 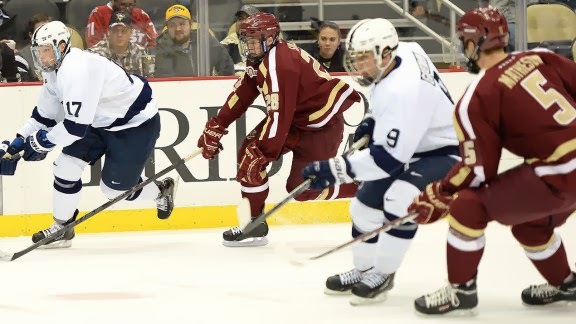 Speaking of Penn State: The Nittany Lions welcomed the high-flying Boston College Eagles to Pegula Ice Arena on Saturday night for their lone contest of the weekend, and came out on the wrong end of a 3-2 score which was as close as the final tally suggested. Perkasie, PA's own Eamon McAdam still hasn't won a game yet, but proved that he's got a little something special in the crease thanks to a handful of acrobatic saves against Jerry York's high octane offense. York, owner of 951 career victories (over 900 more than Guy Gadowsky) praised the PSU program and atmosphere, saying: "Love the building, the facility, the crowds. I thought it was a great college hockey environment to play in. We've played in a lot of buildings but this is right at the top, it's something special. It's good to see an area like Central Pennsylvania have a college hockey team...the success of the Penguins is certainly going to help." It bears repeating, but sophomore forward David Glen did not play in Saturday's contest and will miss at least this coming weekend's series with Ohio State after he chose to undergo a bone-marrow harvesting procedure. Glen was honored with a sign behind PSU's attack net proclaiming his choice to be "The Ultimate Save," and was honored with a standing ovation at the first intermission along with other Happy Valley families dealing with cancer. Teammate Tommy Olczyk, who missed a key penalty shot in the third period, praised Glen's two-way play, but in light of his sacrifice, thought that from now on, he should be called a "three-way player." State College, PA -- After braving a two-game home set with Big Ten rival Minnesota -- the No. 1 school in the country -- two weeks ago, the Penn State Nittany Lions faced another stiff test on Saturday night at Pegula Arena with second-ranked Boston College. They passed in the sense of claiming another moral victory, but the actual victory still went to the visiting Eagles, in a 3-2 contest that was just as tight as the final score suggests. Johnny Gaudreau picked up a goal and two assists to extend his national-best scoring streak to 20 games, Kevin Hayes scored twice and Bill Arnold added three helpers for BC, which extended its unbeaten string to 11 games (10-0-1). The Three Amigos which make up the top line can't carry the club forever, a fact which does concern Eagles head coach Jerry York as the season will wear on and opposing defenses clamp down on them. "Clearly we need that balanced scoring. We were moving towards that for a while, but I think as we go down the stretch, we're going to need those goals more," York admitted. "We'll have to get them from our defensemen. We also have four freshman forwards who I think are just getting into the swing of things." Freshman Thatcher Demko made his third straight start and remained strong despite some heavy pressure late, making 33 saves. That helped the Eagles improve to 13-0-1 when scoring first and 5-1 in one-goal contests. The host Nits have dropped 12 of their last 13 games, but did much to erase the memory of an 8-2 thrashing at the hands of Hockey East's finest on December 28 in the finale of the Three Rivers Classic. Eric Scheid and Taylor Holstrom lit the lamp, while Eamon McAdam manned the net again and played well in the setback, stopping 27 pucks. The freshman from suburban Philadelphia is still seeking his first win of the season, having dropped to 0-8-0. "Three of the last five games we've played have been against either the number one or number two teams in the nation. I'd like to get a point out of it, but I'm not worried," said Penn State head coach Guy Gadowsky. "You do get confidence when you play hard and when you play well. And this is good for the coaching staff, too. But it's also frustrating. Here we are, minutes after losing another one goal game." The game began to get progressively more physical in its second half, but it nearly backfired on Penn State. Jonathan Milley was sent off for a huge check at center ice, drawing a major with 4:06 played in the third period, and it appeared to be the death knell for the Nittany Lions. Hayes ripped one off the post and in only 22 seconds into the power play for a 3-1 edge, but on the next shift, Tommy Olczyk was dragged down from behind on a breakaway and awarded a penalty shot. Demko was equal on a pedestrian forehander with 15:01 to play. "Yeah. If I had to do it over again, I'd probably look for something different," Olczyk said when asked if he planned to go stick side on his shot. Holstrom later broke in 2-on-1, then flipped a shot that deflected off Demko's shoulder and in at the 6:58 mark, with more than two minutes left on the five-minute disadvantage. McAdam had to be elastic to stop back-to-back chances from Gaudreau and Hayes as the clock ticked down to 3 1/2 minutes remaining, but his teammates couldn't find an equalizer. "It was a marked improvement from the team we saw over Christmas. They were more cohesive as a team, played more physically. They're right in the mix against some quality teams, York said in praise of his opponent. Despite being held without a shot for the first seven-plus minutes of action, BC picked up the game's first goal with its second shot of a single sequence. Arnold took on a State defender, stickhandling around him up the middle. His initial shot was stopped by McAdam, but Hayes followed up and popped the rebound over his shoulder and just across the goal line before being swept out at 7:40. Penn State tried to use sluggish ice and a strong defensive front to counter BC's swift transition game, but that strategy started to fail just around the time the hosts tied the score. Taking a page out of Arnold's book, Kenny Brooks made a rush up the right wing and cut in on goal. His first shot was turned aside, but Mike Williamson put it back into the crease where Scheid's second dig at the loose puck finally slid under Demko at the 6:45 mark. A brief review confirmed that the disc was not covered by BC's netminder when pried loose. Gaudreau would not be denied, however. During a 4-on-4 situation, he worked a crossing pattern inside the Nittany Lions zone with Arnold, then moved to the right side and deked McAdam before sliding a backhander home with 3:56 to play in the second. Notes: Penn State forward David Glen did not play in the contest, after revealing that he will undergo a bone marrow procedure to donate to affected persons in the region. He is expected to miss at least next weekend's set of games against Ohio State ... Gaudreau now has 43 points (20G, 23A) during his record-setting string of consecutive games with at least one point ... Play was halted briefly with 51.2 seconds remaining when Demko was run into by a Penn State forward. The 18-year-old netminder was looked after by team trainers but allowed to return apparently unscathed ... Boston College looks to keep its run of success intact when it travels to Providence next Friday ... Attendance was 6,214. Columbus, OH -- Brandon Dubinsky and Nathan Horton scored early in the third period, as the Columbus Blue Jackets posted a victory in the franchise's 1,000th game, 5-2 over the Philadelphia Flyers at Nationwide Arena. "This is a credit to our players. We've talked as a group about playing better at home and creating an identity," said Columbus head coach Todd Richards. Jack Johnson, Derek MacKenzie and Matt Calvert also lit the lamp for the Blue Jackets, who also extended their franchise-high win streak to eight games. Sergei Bobrovsky faced his former club for the first time and picked up the win thanks to 26 saves as Columbus pulled even with their Thursday foes in the Metropolitan Division. Both team have 56 points, with the Jackets holding one more win (26) and two games in hand for the third-place tiebreaker. Brayden Schenn and Vincent Lecavalier tallied for the Flyers, losers of three in a row and six of their last eight. Ray Emery was left in for all five scores on 39 shots in defeat. The Orange and Black have given up 33 goals during their recent slide, and have allowed an average of 36 shots per game over the last five. Trailing by a goal, the Flyers held a 5-on-3 edge for 45 seconds at the end of the second and start of the third thanks to minors to Horton and Fedor Tyutin 75 seconds apart, but failed to capitalize and Columbus took advantage. Dubinsky provided insurance for the hosts with a shot from between the circles at 3:29 for a 4-2 Blue Jackets advantage. It was 5-2 for the hosts when Horton ended his rush up the right wing by beating Emery with a high, hard shot to the far side with just under seven minutes gone. Philadelphia's offense mustered only four shots in the third period and Bobrovsky was equal to all and made his club's winning margin stand up. Safe to say this is not the way the struggling club wanted to go heading into a Saturday matinee contest against the Atlantic Division-leading Boston Bruins back home. "When everyone's rolling it makes a lot of things easier for us. We have a lot of guys playing really well," Johnson said of his club's 9-1-0 record since Horton made his debut. Columbus benefitted from an odd bounce to score first, as Johnson's shot from the left-wing boards deflected off the leg of Flyers defenseman Luke Schenn in front and fluttered past Emery with 8:20 gone in the first period. Schenn evened the game at 1:56 of the second, sliding home a third-chance rebound of his own shot during a 3-on-1 break. Lecavalier's blast from the right circle on a power play gave Philly a 2-1 edge at 7:21. Columbus knotted the score with 8:36 left, as MacKenzie tipped in an Artem Anisimov dish in front. The Jackets moved ahead by a goal on the advantage at 16:13 when a pass from the left circle by James Wisniewski changed direction off the skate of Calvert and hit the net. Notes: Columbus improved to 4-2-2 all-time at home against Philadelphia, including four straight wins since December of 2008 ... The Flyers hadn't dropped three in a row since Dec. 7-11 ... Bobrovsky has won nine straight decisions ... Emery hasn't won a game in which he started and finished since Jan. 7 at New Jersey ... Horton upped his total to seven points (4G, 3A) since returning from shoulder surgery ... Schenn's goal was his 14th, setting a new career high. Twenty-six instructors will comprise the Phillies’ spring training coaching staff, Manager Ryne Sandberg announced today. It will consist of Sandberg, the major league coaches, the triple-A staff, all minor league coordinators, additional members of the player development staff and several guest instructors. Sandberg’s major league coaches for the 2014 season are Larry Bowa (bench/infield), Steve Henderson (hitting), Bob McClure (pitching), Pete Mackanin (third base), John Mizerock (assistant hitting/catching), Rod Nichols (bullpen), Juan Samuel (first base/outfield/baserunning) and Jesus Tiamo (bullpen catcher). From the player development staff, it will be coordinators Doug Mansolino (field), Carlos Arroyo (pitching), Andy Tracy (hitting), Chris Truby (infield), Andy Abad (outfield/baserunning) and Ernie Whitt (catching), along with the triple-A staff of Dave Brundage (manager), Mickey Morandini (coach), Sal Rende (coach) and Ray Burris (pitching). Mike Compton (senior advisor, player development), Jorge Velandia (special assistant, player personnel) and Roly deArmas (manager, Gulf Coast Phillies) will also assist during spring workouts. The Phillies have invited five Alumni to serve as guest instructors. The group consists of Larry Andersen, pitcher on the 1983 and 1993 National League Championship teams and currently a radio broadcaster for the club; two-time Cy Young Award winner Roy Halladay; Dave Hollins, the Phillies special assignment scout and All-Star third baseman for the 1993 NL champs; Brad Lidge, the All-Star closer and fantasy baseball stalwart for the 2008 World Champions; and Gary Matthews, former All-Star and left fielder for the 1983 NL champs and former Phillies broadcaster. For the first time in more than two decades, a Philadelphia Flyers regular-season home game has been postponed due to inclement weather. The club announced earlier in the afternoon that no make-up date was revealed, but thanks to some maneuvering by the National Hockey League later on, the contest will go on tomorrow evening, with a 6 PM start time. The last time a home game began with that earlier start time was a Flyers-Canadiens game on February 12, 2010, the club's final one before the NHL went on hiatus for the Vancouver Winter Olympics. Philly came out on the right side of a 3-2 decision to the Habs on that Friday evening, roughly 48 hours after being slammed with its second 12-inch-plus snow event in less than one week. A Flyers insider previously reported that the next closest day that the contest could be rescheduled within the rules of the new CBA would be March 10. By-laws prohibit a team from playing games on three consecutive nights, which is why tonight's game could not be played tomorrow as the Hurricanes already have back-to-backs this week. 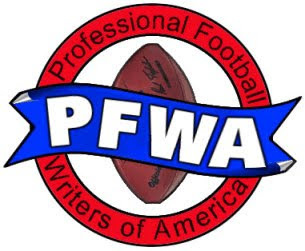 However, late breaking news from Chip Alexander of the Raleigh News & Observer revealed that the league was working to move Carolina's game against Ottawa to Saturday in order to accomodate a Wednesday start time. That is what did occur a short time ago. The last time a Flyers game was postponed, was March 13, 1993, during the so-called "Storm of the Century," whose wicked winds caused a pane of glass on the Spectrum concourse to break once the contest between Los Angeles and Philadelphia had already begun. It was later re-played from the start on April 1, with the Kings taking a 3-1 victory. Two more casualties of that storm was that subsequent road games in Pittsburgh and Hartford had to be moved due to the aftermath of the blizzard. The Flyers lost to the Penguins, 9-3, one week later, then topped the Whalers, 5-4 in overtime, on the final day of the regular season. A Flyers-Capitals preseason game in September of 1999 was called off due to the ravages of Hurricane Floyd, which flooded most of the Northeast. Oddly enough, during the Blizzard of 1996, when Philly received its single largest snowfall ever at 30 inches, no games were postponed. While most schools had the week off and the area was digging out, the Orange and Black played to a 2-2 tie against Anaheim and a 4-4 tie with St. Louis on home ice. The second half of the Division I college hockey season kicked into gear this past weekend, with a majority of students returning to campus for their Winter term, but there was still no change at the top of the national rankings revealed yesterday. Minnesota retained its perch, and for the second time this season was rewarded with all 50 first-place votes, thanks to a pair of victories over Big Ten rival Ohio State, which came to Minneapolis for a two-game set which included the "Hockey City Classic" at TDF Field on Friday night. The Gophers claimed a 1-0 decision in the outdoors on Friday night, then followed up with a 4-2 triumph at Mariucci Arena thanks to Sam Warning's hat trick. Rising up to #2 in the rankings was Boston College, which attained its highest perch since being named preseason No. 1 by taking down rivals Boston University and Maine at Conte Forum. On Friday, it was a 6-4 decision fueled by three points from Adam Gilmour and two scores from Johnny Gaudreau. One night later, a 7-2 rout of the Black Bears featured 10 combined points between Gaudreau (5A) and Kevin Hayes (3G, 2A). Hayes ended up being named Hockey East's top offensive performer. Union College surged from sixth to third this week, on the strength of back-to-back impressive road wins at New Hampshire, both by 3-1 counts. Flyers defensive prospect Shayne Gostisbehere failed to record a point in the set, now with just 16 points in 22 games. Nonetheless, the Dutchmen improved to 12-1-1 in their last 14 games since early November. Quinnipiac moved up one slot to No. 4 after splitting two at Merrimack, winning 6-1 and losing 6-3 to snap its seven-game unbeaten string, meaning St. Cloud State -- a contender in December for the top spot in the country -- slid to #5 after tying and losing against Western Michigan to extend a slide to 2-3-2 since mid December. Ferris State saw the biggest tumble in the top 10, sliding down from No. 2 to No. 6 by failing in both road tests against Minnesota State. Once owners of the longest unbeaten string in the land at 16 games, the Bulldogs fell to 2-3-0 since it concluded. Providence remained static at #7 thanks to surviving back-to-back road games at Colorado College, winning 7-2 and tying 2-2. Those performances earned Team USA WJC goalie Jon Gillies Hockey East Defensive Player of the Week honors. Conference rival UMass-Lowell got bumped up from 10th to eighth after tying Maine (1-1) and beating BU (3-1) on friendly ice at Tsongas Arena. Wisconsin stayed in place at #9 due in large part to having a bye week after taking down rival Michigan twice two weekends ago at Kohl Center. Yale swapped places with 2013 Frozen Four opponent Lowell, dropping two slots despite a weekend split in Upstate New York -- losing at Clarkson and winning at St. Lawrence. Penn State (4-14-1) opened up its Big Ten slate in earnest two weekends ago, and have gone 0-for-4 despite not being blown out by either Minnesota at the 'Peg or at Michigan State this past weekend. The Nits' recent slump has reached 11 losses in their last 12 games after dropping decisions of 3-0 and 3-2 in East Lansing. On Friday night, PSU poured 48 shots on Jake Hildebrand, but he was equal to all of them, with Dean Chelios, Lee Reimer and Greg Wolfe punctured Matt Skoff, who stopped 26 shots in defeat. The next night at Munn Arena, Taylor Holstrom and Eric Scheid scored for the visitors, but Reimer netted the winner at 3:41 of the final period. Slowly, yes. The only thing for certain in the Big Ten this season is that Minnesota will finish first and Penn State last. Yet, with the stakes apparently as high as they are since Penn State is Penn State, how much longer after this year will it be acceptable? Patience is in great need and great order with this club, only in Year 2 of D-I action. Things don't get easier for Guy Gadowsky's squad, with a rematch against Boston College on home ice this coming Saturday. BC ripped PSU by an 8-2 count to win the Three Rivers Classic in Pittsburgh just before the new year. As far as Princeton is concerned, the program is going through its second 20-day break in the span of a little more than a month. After pausing from December 7-28, the Tigers have been away from meaningful action since January 11 and won't take the ice again until resuming their Ivy League slate against Harvard at Bright Center on 1/31. Thus far in 2014, the local college Orange and Black split two exhibitions against Canadian colleges, whipping Simon Fraser (8-1) and losing to the University of British Columbia (0-1), then topping RPI (2-1) and falling to Union (0-3) two weeks back. With his team leading 1-0 in the first period of Thursday's 4-3 shootout loss to the Predators, rookie and top-line forward Michael Raffl engaged in a 2-on-2 rush inside the Nashville offensive zone. Skating on the left wing, he had an opposing defenseman roughly five feet in front of him, with the remaining ice to the side and behind the D vacant aside from goalie Carter Hutton inside his crease. Instead of taking it wide, trying to challenge his counterpart or flipping a shot on net in hopes of a rebound or a cover-up and faceoff, Raffl instead cocked his head to the side and passed the puck backwards in the zone to where a marked Claude Giroux had trouble handling it to make a play happen. Then, with the visitors up by a 2-1 count in the second period, Raffl was skating on a path up the middle into the Nashville zone while the puck found its way up the left-wing boards. Giroux again found the disc and shuttled it back around behind the attack net, with Hutton out of his crease to make a play. Instead, the puck caromed off a stanchion and into the slot, where Raffl was staring at a wide-open net and easy goal which would pull the Flyers even. You can't blame the 25-year-old for failing to react, because chances like this one might not come more than once a year and are generally not planned for when practicing proper positioning in any zone. That hesitation came at a cost, as Preds veteran forward David Legwand was able to put his stick in Raffl's skates as he shot, while the puck was smothered at the left post by Hutton, who contorted his body to make an incredible save. "I would rather call it a miss. You’ve got the open net and the puck is bouncing right on my blade," said the pragmatic Austrian after the game. "He got his stick on me a little bit. It changed kind of direction. I wasn’t aiming there so you’ve got to give him credit he made a desperate save. It was a nice save." Despite winning the confidence of management and head coach Craig Berube to be placed alongside Giroux, Raffl has only collected four goals and 13 points in 36 games -- and two those three goals came in a three-game span in December after going scoreless in his first 17 NHL contests. He went 10 games before his last tally and had been scoreless in five games until his next goal, a memorable one dissected below. It says that Raffl, certainly more than new organizational yo-yo Tye McGinn, is viewed by Holmgren as a viable long-term solution. That also means Raffl has to do more to make his bosses look smart. As with McGinn's two early stints up from Adirondack when the Flyers struggled mightily early on, the top line goes as Giroux goes. When the 25-year-old leader is moving well and is able to read and react to defensive coverage, possessing the puck deep and getting it towards the net, it doesn't matter who else is on the line, they will benefit. When he's not, it's been clear in certain cases that his wingers are waiting on Giroux's cues on what to do -- and that's a habit his linemates have to grow out of to be successful. In the second period of Saturday night's 6-4 against the Islanders, Raffl -- along with the rest of his line -- was largely absent through his first batch of shifts. On his second turn of that frame, with his team up 3-2, the puck found his stick along the right wing, and his shot fooled opposing goaltender Kevin Poulin and exited the crease on the other side. Again, the hesitatation was evident, and the disc was swept out of harm's way before he realized he could skate back around the net to retrieve it. If you notice, Raffl holds the puck for only an instant at center ice, before deciding to dish off to Giroux on the left wing. The only problem with the choice is, Giroux looked like he was hemmed in on his side of the ice by three New York defenders. Who knows what might have developed if Jake Voracek had decided to carry up the right wing, or if Raffl had tried to take the puck wide and split the defense with Giroux cutting to the net. We end up seeing an indifferent Isles blueline that allowed Giroux to back them in enough where he was able to generate a scoring chance which turned into much more. "Yeah, 'G' took the puck, got a good shot off, it got blocked and then I don't know how he saw me but he put it right on the blade and went in," Raffl nonchalantly said of the sequence of events. It all worked out as the rookie netted the deciding score, but why was Raffl following behind instead of trying to create more space? Instinct or design? I disagree with Coatesy's assessment of Keith Jones' assertion that Raffl simply "stayed with it." With his speed and size, Raffl probably would have been wise to skate along with Giroux into the Islanders zone on the opposite wing to back off one of the defensemen on the opposite side of the ice. The captain's preternatural puck prowess might have found him for a tap-in anyway. But we saw the first-year player essentially assigning any play to be made out of the situation to the five-year veteran, and that's something Raffl needs to become more confident to do on his own. Lucky for him, the historically slow start to the season, plus the slow ascent near the top of the division the club has seen since then has afforded Raffl time to develop. Also in his favor is the experience and confidence which may result from performing for his native country in Sochi next month. Unlucky for him, the learning curve on the top line for a team expected to make the playoffs will become steeper once the NHL returns to action. It's up to Raffl, not Giroux or Voracek, or the coaching staff, to take the initiative and raise his game to the next level. The long and winding road back to the ice has become significantly shorter for Marc-Andre Bourdon. On Sunday, Flyers GM provided a long-awaited update to the Quebecois defenseman's status as he recovers from a series of concussions. Bourdon hasn't played since December 1, 2012, the day after suffering his latest head injury in a Phantoms game against the Binghamton Senators. The former third-round pick in the 2008 draft will have to clear waivers if he successfully completes a conditioning stint for Adirondack and is cleared to return to the Flyers. Once he arrives in Glens Falls, he'll add depth to a team which ranks near the top of the American Hockey League in goals allowed. Bourdon picked up four goals and seven points in 45 games in Philadelphia two seasons ago. Philadelphia, PA -- It's up for debate at this point in the season whether or not their penchant for comebacks is a good thing or a bad thing. 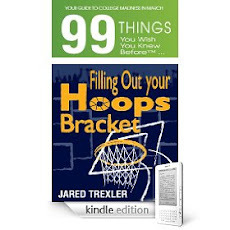 No one can deny that it isn't interesting, or keeps people glued to their seats or their living rooms until the final buzzer. Claude Giroux assisted on the tying and go-ahead scores in the third period from linemates Jakub Voracek and Michael Raffl, and Philadelphia rallied past the New York Islanders, 6-4, on Saturday. Andrej Meszaros tallied twice in the first period, while Adam Hall and Matt Read also lit the lamp for the Flyers, who tied a team record by erasing a third-period deficit for the ninth time this season. His defense lacking, Steve Mason was pulled after allowing four goals on 24 shots in less than two periods. Ray Emery subbed and picked up the win with five saves the rest of the way. "I thought they picked their game up. We played a real good third period but the first two periods are inexcusable," said Flyers head coach Craig Berube. "Mason was a victim of the team's poor play." Stat which might mean something: After going 27 games from the start of his tenure here without allowing more than three goals in any appearance, the 25-year-old has allowed at least three scores in 11 of his last 17 times in the crease. John Tavares, Cal Clutterbuck, Brock Nelson and Brian Strait scored for the Islanders, who look to gain points in the back end of this home-and-home set on Monday in Uniondale. Kevin Poulin gave up five goals on 31 shots in defeat. A no-look pass from Giroux in the slot to Voracek on the right wing zipped home at 7:14 of the third and knotted the game 4-4. Giroux then made another slick move on the left wing, picking up his own blocked shot and passing backwards, where Raffl pumped home the lead score with 4:15 to play. "Yeah, 'G' took the puck, got a good shot off, it got blocked and then I don't know how he saw me but he put it right on the blade and went in," Raffl said. Poulin was sent to the bench with just over one minute remaining, but Read bounced the insurance tally into the empty cage shortly thereafter. Things looked better for the last-place team in the Metropolitan Division early on. Thomas Vanek picked up a loose puck behind the Philadelphia net and fed in front to an open Tavares for the game's opening goal at 7:43 of the first. Meszaros then tied the score, working his way from the point into the left circle and beating Poulin with a high drive at 18:38. He fell one short of being the first Orange and Black defenseman to record a hat trick since Andy Delmore in May of 2000. A shot from Mark Streit deflected off Hall's stick on its way to the back of the net with 3:45 gone in the second, and Philly led 3-2 after a brief review determined it wasn't touched with a high stick. Tavares had a goal wiped out just before the eight-minute mark of the frame, as Vanek fell in front of Mason and obstructed his path to stopping the shot. But Calvin de Haan's point shot at the tail end of an Islanders advantage was tipped by Nelson and eluded Mason for a 3-3 tie at 11:05 before Strait put Mason on the bench and the visitors ahead with six minutes left in the stanza. "We got away from the way we were playing in the first two periods," Tavares admitted. "We played on our heels and they're going to come at you, they've got a lot of skill and it's a tough place to play in. You've got to play a full 60 minutes against these guys." incredible 39-for-58 (67 percent) on faceoffs ... Hall's marker was his first non-empty-net goal since Feb. 28, 2012 for Tampa Bay against Montreal ... Steve Duchesne is the last Flyers defenseman to score three times in the regular season, in a 6-2 win over the Islanders on Dec. 19, 1991. Always a franchise whose front office knows what they want, goes for it, and then keeps players they like, the Philadelphia Flyers have struck again. On Saturday afternoon, reports surfaced that goaltender Steve Mason, a restricted free agent at the end of this season, has been given another contract extension. Additional report out of Canada cited it is a three-year extension worth $4.1 million per season. "I'm glad it's done. I think, you guys can ask Steve later, I'm sure he feels the same way, said Flyers GM Paul Holmgren. "We got it out of the way, we can move on. Now he just needs to worry about his job and not anything else. It's probably good in that regard." The nominal #1 goalie for Craig Berube this season, Mason has produced a 19-11-5 record, 2.48 goals-against average, .917 save percentage and one shutout in 36 games thus far. His win total is the most since winning 20 in his sophomore campaign in 2009-10, and it's expected he will finish the year with more than the 24 victories earned in 2010-11. Mason, who was brought here in a trade-deadline deal with Columbus last March, was already signed to a $1.5 million extension for one season within a month of his acquisition. This new pact comes at a curious time, statistically, for the 25-year-old. After failing to allow more than three goals in any of his 27 appearances dating from last season's trade through December 4, Mason has surrendered at least three goals in 11 of his last 17 times in the crease. No worries, according to the man who dealt for his services in exchange for Michael Leighton and a third-round pick in this year's draft. "Well I think if you look at this season in a nutshell, he was good when the team was real bad early in the year. In the last little while as the team's gotten better, I think Steve's been up and down a little bit," Holmgren acknowledged. "We certainly expect him to get better over the next three and a half years, or three plus years, whatever this is, with the team and grow with the team. He's a good goalie and we believe he's going to get better. That's why we did what we did." Mason was tabbed to start the opener of this home-and-home with the New York Islanders, but was yanked after giving up four goals on 24 shots in less than two periods. Berube absolved his starter of blame, placing it on the defense and forwards, also admitting it was a move intended to wake up his team. "Yeah, definitely. It's nice to have that in the rear-view mirror now, just looking forward to being here for the foreseeable future," he said when asked how he felt without the pressure of having to perform with his old deal and a new one hanging in the balance. It worked, as three goals in the third period produced a 6-4 victory. The back end of this home-and-home set takes place at Nassau Coliseum on Monday afternoon. Since arriving in Philly, he's put up a 23-13-5 mark in 44 contests. This is something you never want to see or hear about, no matter how you feel about a player's choices to reach the pros. In Friday's Ontario Hockey League contest between the London Knights and Saginaw Spirit, Knights goaltender and 2012 Flyers draft pick Anthony Stolarz had to be escorted from the contest after being struck in the left leg by a skate in a goal-mouth collision. The contest was halted with 3:47 gone in the scoreless first period, as Stolarz departed on a stretcher, with blood from a cut staining the ice. From the game story in the London Free Press: "After Stolarz was run into by Eric Locke in his crease, Knights defenceman Dakota Mermis came to his netminder's aid and jousted with the Spirit captain. Locke's skate blade made contact near Stolarz' left ankle and the Philadelphia Flyers' prospect went immediately to the ice, writhed in pain and left a lot of blood in the blue paint in front of his net. "London physiotherapist Doug Stacey applied pressure to the United States world junior goalie's leg with a towel and Knights support staff called for additional assistance. Stolarz was removed from the ice by stretcher and gave Mermis a quick tap with his hand as he headed for the hospital." Jake Patterson subbed in net and the game resumed minutes later, but the Spirit came away with a 3-1 victory. Those of us old enough recall the first and goriest goal-mouth skate-cut incident, when Sabres goaltender Clint Malarchuk had his jugular vein accidentally sliced in a collision with Steve Tuttle of the St. Louis Blues in March of 1989. Coming into the contest, the 19-year-old native of Central New Jersey was 21-4-2 with a 2.59 goals-against average and three shutouts while stopping pucks at a 92.5-percent success rate. He managed to Tweet an update while at hospital: "At the hospital now. Thank you all for the kind words. Nothing too serious and I'll be looking to get right back on the as soon as I can." The young man is very lucky. It could have been a situation like the one Phantoms player Kyle Wellwood faced last season, when a skate blade cut into his leg and caused one of the bloodiest scenes many have ever witnessed along with a blood-soaked hockey sock and skate. Despite Ontario Hockey League's suggestion that goaltenders wear cut-resistant gear, it doesn't appear from the picture, or the video, that this was the case. "I know Ron Hextall talked to him, word is that he was extremely lucky," said Flyers GM Paul Holmgren. "He just missed a lot of important parts in there. [It took] 55 stitches to close the wound, I don't know if you guys read that, but once that heals he'll be just fine. There were no arteries (cut), no achilles tendon, it just missed the major artery. I don't know if you've seen the video, but there was a lot of blood for not hitting an artery. Up until last night, Stolarz had been rolling in clover since leaving Nebraska-Omaha for the OHL, landing in a ready-made situation with a stacked team put together by the Hunter family. The Knights won the league championship last season and participated in the Memorial Cup, won by the Halifax Mooseheads from the QMJHL. Philadelphia, PA -- It's not going to show up on a chart or graph, but one of the hard truths about games which end in marathon shootouts, is that they will be decided by the players who have no reason to be on the ice, even in a breakaway contest. On Thursday at Wells Fargo Center, that player was Roman Josi, who netted the deciding score in the seventh round of the shootout, as Nashville topped Philadelphia, 4-3, on Thursday. Josi, who failed in his only other career shootout try, slid the puck through Steve Mason's pads to end the contest. Carter Hutton kept his team alive with a stop on Wayne Simmonds to open the round, after allowing scores on two previous Philly attempts. "It tears your heart out especially when you play really, really well and you lose in a shootout. Very similar to the last time we played them, I thought we were the better team against the Flyers and couldn’t get the regulation win. There’s a little bit of a mental barrier you need to get through, and I thought we did," said Nashville head coach Barry Trotz, referencing a Nov. 30 loss. Shea Weber collected a goal and two assists for the Predators, who picked up their first road victory since Dec. 10. David Legwand and Eric Nystrom also tallied to back Hutton's 27 saves in regulation. “We obviously hadn’t won yet in the shootout, so hopefully we can get some confidence off of that moving forward and be able to be better in that area," Weber noted of his club breaking an 0-for-5 string in shootouts this year. Simmonds also notched three points on a score and two helpers for the Flyers, losers of two in a row on home ice after taking 10 straight. Andrej Meszaros and Brayden Schenn produced additional offense, while Mason made 34 stops in defeat. It was a heartbreaker for sure, and the hosts fell to 3-4 in the terminal portion of a contest this season, but still managed to pick up a point during this key five-game stretch where points are a must. “I don’t think he can worry about that at all. He’s been saving our butts all year. It has nothing to do with him, we should’ve played a more solid 60 minutes in front of him," said Flyers head coach Craig Berube when asked if Mason took blame for the loss. To a point, Mason was right. When the shootout comes around, it's a blank slate -- shooter vs. goaltender and he failed in his mission by giving up those two goals after his teammates twice provided a potential winning difference. The Orange and Black have a home-and-home set with the Islanders looming at home Saturday night, then in Uniondale Monday afternoon before returning here for a Tuesday tilt with Carolina. The hosts struck just 1:26 after the opening faceoff. Meszaros carried deep into the Nashville zone, but curiously dished to Simmonds, whose deflected pass back across the crease found Schenn for a tip-in at the left post. The Preds struck back with 9:03 to play in the first, as Nystrom snuck between two defenders and a Gabriel Bourque pass caromed off his leg and inside the far post. Nashville failed to click on a brief 5-on-3 edge, but Legwand one-timed a Mike Fisher feed under the crossbar from the top of the right circle during the one-man edge for a 2-1 game at 16:25. Hutton saved his own bacon as the game clock moved beyond the seven-minute mark of the second period, diving back into his crease to deny an open-net chance from Michael Raffl, whose shot was muted by a Legwand trip. "I would rather call it a miss. You’ve got the open net and the puck is bouncing right on my blade," said the pragmatic Austrian. "He got his stick on me a little bit. It changed kind of direction. I wasn’t aiming there so you’ve got to give him credit he made a desperate save. It was a nice save." Meszaros joined the rush again on the final shift of the period, and tied the score on a wrister from the left circle with less than five seconds left. Weber's rip from the point on the first part of a four-minute advantage put the Predators up 3-2 with 5:10 played in the third period. Mason kept it a one-goal spread by stopping a Craig Smith breakaway on the back end. 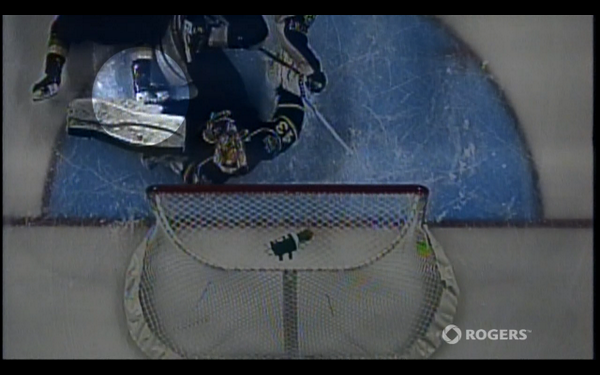 Timonen shot caromed off Simmonds' stick and fluttered over Hutton with 1:24 to play. It was a momentary respite from the realization that the hosts carried the third-worst power play on home ice coming into the contest, clicking at 11.9 percent (10-for-84). Notes: Weber faced the Flyers for the first time since being signed to an offer sheet in the Summer of 2012. He sat out the Preds' shootout loss in Nashville ... The contest marked the first time the Flyers faced a game beyond regulation on home ice this season, after participating in eight such games on the road ... Philadelphia had won three in a row at home vs. Nashville since March of 2009. 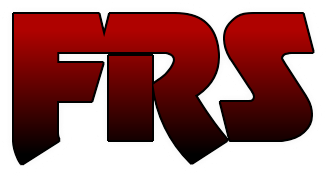 PHILADELPHIA - The Philadelphia Soul announce they have been assigned former East Strousburg defensive lineman Rudy Cerami and offensive lineman John Mobley to their 2014 roster. Cerami, who is entering his rookie season, started 32 games, accumulating 131 tackles and 4.5 sacks throughout his college career at East Stroudsburg. Mobley, who enters his rookie season, was a member of the Texas Revolution (IFL), in conjunction he also played two seasons at Winston Salem with 20 starts in 21 game appearances. Cerami and Mobley will report to training camp on Thursday, February 20 which will conclude on March 8, where final cuts will be made. The Soul kicks off their 2014 season in Phoenix on Saturday, March 15 at 9 p.m. in an ArenaBowl rematch against the defending champion, Arizona Rattlers. The home opener is set for Saturday, April 19 at 6 p.m. against the Jacksonville Sharks at the Wells Fargo Center. PHILADELPHIA – The Philadelphia Union drafted four players today at the 2014 MLS SuperDraft, including University of Connecticut goalkeeper Andre Blake with the number one overall selection. Philadelphia also selected Coastal Carolina’s Pedro Ribeiro (No. 15 overall), a 6-foot-4 inch midfielder who is a former member of the Philadelphia Union’s PDL affiliate, Reading United A.C. The club then rounded out the second round by selecting Michigan State defender Kevin Cope (No. 25 overall) and University of Akron defender Robbie Derschang (No. 27 overall). The Union originally held the No. 2 and No. 6 overall picks, but swapped the second pick with D.C. United to move to No. 1 overall, where Blake was selected. The Union then traded the No. 6 pick to FC Dallas in exchange for allocation money and the No. 10 pick. The Union picked up more allocation money when the club the traded the No. 10 pick to Toronto in exchange for No. 15. Blake, 23, played in 68 matches, which were all starts, at the University of Connecticut and amassed 36 shutouts. In 2013, Blake recorded 10 shutouts (.75 GAA) and was named American Athletic Conference Goalkeeper of the Year and also was a Semifinalist for the MAC Hermann Trophy, given to the top player in the nation. In 2012, the Jamaican started in all 22 matches and earned Big East Goalkeeper of the Year. As a freshman in 2011, Blake tied a Connecticut record with 15 shutouts on the year, including a span of nine straight. He was also named Big East Goalkeeper of the Year. Ribeiro, 23, spent four years at Coastal Carolina, scoring 31 goals and notching 26 assists during his collegiate career. A product of Reading United A.C., the Union’s PDL Affiliate club, the native Brazilian had a decorated career at Coastal Carolina, receiving NSCAA Second Team All-American honors (2013), Big South Attacking Player of the Year (2013) and First Team All-Big South (2013, 2012, 2011), among others. The Philadelphia Union’s partnership with Reading United A.C. was in full effect, as Ribeiro joins current Philadelphia Union Assistant Coach Brendan Burke, who formerly was the head coach at Reading United. Cope, 22, was an anchor of Michigan State’s defense over his time in school, where he amassed 84 starts. In 2013, Cope helped led the Spartans to 13 shutouts and the Elite 8 of the NCAA Tournament. A former PDL Defender of the Year (2012), the defender also earned Second Team All-Big Ten (2012, 2011) honors as well as Big Ten Freshman of the Year in 2009, where he started in all 21 matches. Cope also was just the third ever defender to win Michigan’s Mr. Soccer award, earning honors in 2008 while at Salem High School. Derschang, 21, played for Akron in 2012-2013 and SMU in 2010-2011, making 75 total appearances between the two schools. In his freshman year at SMU, he was named a Top Drawer Soccer Freshman All-American and to the Conference USA All-Freshman Team. Derschang also spent time in the U.S. Youth National Team Pool at the U-17, U-15 and U-14 levels, participating in the U.S. U-17 residency program in 2008. 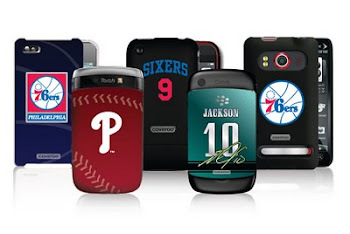 It's Guest Post time again on the Phanatic, and today we have the second submission from 4Who4WhatSports. He's taking Jamie Kennedy's advice from "Malibu's Most Wanted" and is filling up column space praising one of the most prolific goal scorers in Philadelphia Flyers history. Your introduction into the mind of 4Dubs went to a dark, dark place. I made you relive some of the worst moments in recent Flyers history but we’re about to do an about face. We’re going back to the glory days of the late 90’s/early 2000’s as I wax poetic about my all-time favorite Flyer. Ladies and gents I’m speaking of that rough-and-tumble power forward from St. Albans Vermont, the legendary left wing on the Legion of Doom: John LeClair. The fateful day when the lumbering forward, miscast in Montreal, joined the Orange and Black was an extremely bittersweet day for nine-year-old me. My love for hockey was in its early stages and the only other player I knew besides Eric Lindros was Mark Recchi, so to find out he was traded for three guys I never heard of didn’t make young me all too happy. A mere few days after that Terry Murray made a decision that got me, and I’m sure many other Philadelphians, hooked on hockey by assembling on of the best lines in Flyers’ history. Partnered with the aforementioned Lindros, debatably the best player in the world at the time, and gigantic sophomore Swede Mikael Renberg, LeClair rounded out The Legion of Doom. All three players were relentless in their pursuit of the puck and I still have yet to see a trio play the cycle game, take possession and keep the puck with physicality like these men among boys. I spent days on my driveway ripping slap shot after slap shot on orange Mylec balls in hopes that I may someday reach Johnny Vermont's velocity. The man crush was officially on. Sure I remember that he became the first American player to score 50-plus goals in three consecutive seasons (1995-98). Who can forget the 1996 World Cup of Hockey where Johnny was a major part in the United States stealing two games in Canada against their bitter rivals to win it all? But what drew me to LeClair was his unstoppable work ethic that I learned doing a sixth-grade report on him. Despite being cut form his high school team during his freshman year, specifically due to his lack of skating ability, LeClair worked on his weaknesses and overcame the odds, eventually hooking on at the nearby University of Vermont and then onto a Stanley Cup winning Canadiens team in 1993 where he scored overtime goals on back-to-back nights in Los Angeles which helped the Habs clinch their last title. That work ethic also shone through in the dirty jobs. The punishment LeClair would take in front of the net, was absurd. You have to remember that these were the days of the clutch-and-grab era. No one was given an inch on the ice without having to take a mugging. But there was Johnny on the spot, always camped out willing to take the abuse from aggressive defenseman just to get what hockey heads call a garbage goal. I modeled my game after this and I still play like that to this day, just ask Bob. (Ed note: no comment). It may not be the prettiest way to play but it sure was effective. Just ask Tim Kerr, who laid the foundations for the modern power forward here in the 80s. To be honest, the clearest memory I have of LeClair was during the alumni game of the 2012 Winter Classic between the old men of the Flyers and Rangers. The minute I knew not only LeClair and Lindros would be reunited on the ice I had to attend. I went with my dad, one of my best friends, his dad and my best friend’s son who also happens to be my Godson. He was only three at the time but to experience watching two-thirds of the best hockey line of my lifetime and to relive that with my best friend and my dad, let’s just say it was a special moment. It honestly still gives me goosebumps to recall that I got to witness one more goal from Johnny Vermont thanks to an assist from Big E -- and not just by myself but surrounded with the people whom I watched most of those glory days of Flyerdom and thousands of other faithful who were rewarded that day. For sure there are other players I’ve liked that have skated through Philadelphia since I've learned to bleed orange. To be honest, some of them might have even been better overall players than my favorite. The thing is you always remember your first love and mine just so happened to be that 6-foot-3, 225-pound scoring machine from St Albans. 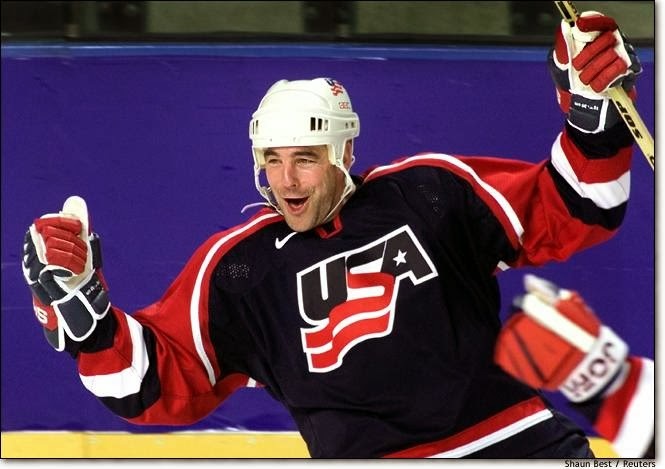 The one, the only, John LeClair.